architect; b. August 17, 1764; d. May 20, 1833. De la Barre was a pupil of J. D. Antoine and François Chalgrin. In 1813 he succeeded Alexandre Brongniart as architect of the Bourse in Paris. 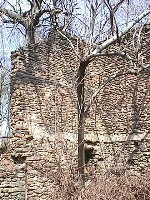 He finished this building, of which the foundations only had been laid. architect; b. June 27, 1777; d. February 19, 1850. Debret was a pupil of Charles Percier. In 1813 he replaced Cellerier as architect of the abbey church of S. Denis, where he accomplished numerous restorations. 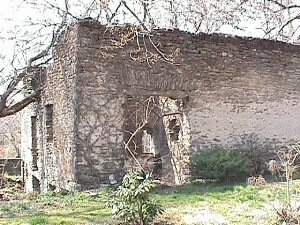 He was himself replaced by Viollet-le-Duc in 1846. 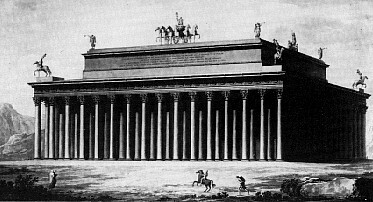 After 1822 Debret laid the foundations of the building of the École des Beaux Arts (Paris), which was continued by his pupil, Jacques Félix Duban. architect; b. June 8, 1776; d. January, 1841. In 1813 he was elected professor of architecture in the Liverpool Academy. His best-known work, An Attempt to discriminate the Styles of English Architecture, was first printed separately in 1817. He built a very large number of churches in England. 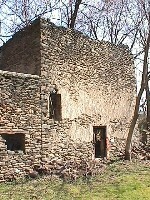 Whitaker Mills Barn (Tacony Creek Park, Philadelphia, PA: c1813). 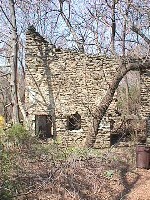 I finally got around to taking pictures of the circa(post) 1813 substantial stone barn remains of the now gone Whitaker Mills compound at Tacony Creek and Tabor Road, Philadelphia. Within a few weeks, this somewhat majestic structure will again be almost completely covered by vegetation. 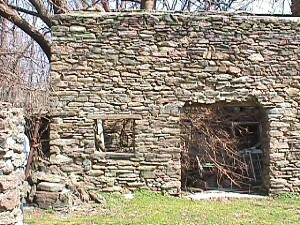 Despite this barn's age and its probably being the only such stone structure left in Philadelphia, it nonetheless will likely sometime in the future be purposefully demolished by the Fairmount Park Commission (with the reason being its potential liability as a safety hazard). 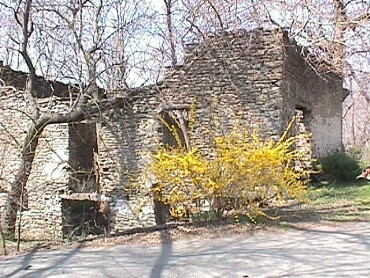 My picture taking is perhaps the only preservation this 'historic' structure is ever going to receive. 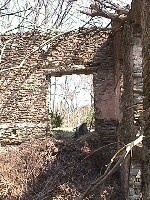 Images taken 29 March 2002. Luigi Cagnola, Progetto di Monumento sul Moncenisio (Milan: 1813).